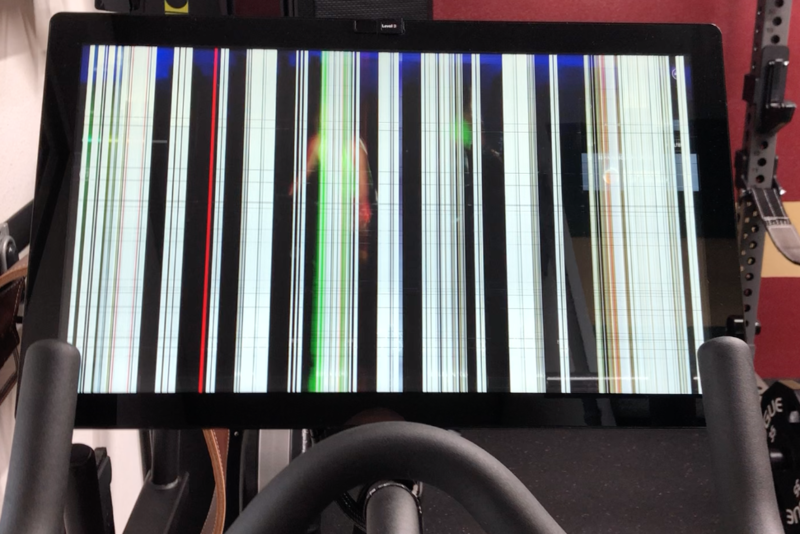 Jan 2019 follow-up to the following post: Although Peloton’s support was very slow to respond, seven days slow, out of the blue I get an email that a new display is being dispatched with free return label included. I wish their support ticket auto responder had simply said “It may require seven days to receive a response”, then I’d have my expectations set, but hey, if I can fume for a week and then be rewarded with a free out of warranty repair, it’s pretty hard to complain. I honestly expected to need to buy a new display, so I am extremely happy with this outcome. Perhaps with the ad campaign and opening of the retail stores all over the country, they’re inundated with support requests; glad to see they turned what could have been a very bad experience into a surprisingly good one. I’ve managed to to go from loving a product to hating it in the span of five days; that’s impressive. How? Here in January 2019, I’m at about the 2.5 year mark on my Peloton Cycle. This was a fall 2016 purchase of cycle and accessories, so roughly $2k for the cycle, $250 delivery, few hundred in accessories, and have been paying the $39/mo ever since. So, let’s call it roughly $3900 spent so far. With some tips from a Reddit user, I attempted a factory reset, which is accomplished by holding volume up, then pressing power. No change to the screen; although via support, I learned the factory reset actually requires navigating a boot-time menu via volume up/down and using the power button to acknowledge the menu option. Given the menu is not visible due to the display issue, I can’t actually factory reset; unless someone wants to tell me which option down it is, and how many clicks on the button I need to acknowledge it. I immediately open a support ticket with Peloton. I uploaded a video of the display before it had been powered off. The following day I update the ticket that I’d tried the factory reset to no avail. No response yet. At day four, I send a tweet their direction; I get a courteous response that they’d love to look into this for me, so I private message them the ticket ID and email address. I direct message them on day five asking if they’d looked into this or have any response. Still no response. On day six, I online chat with their website folks in real time, tell them the ticket and what is going on, and the first response is how can I help you. Umm, read what I just took the time to write and you should know that. I cut and paste what I’d already sent. Okay, they’ll go check the ticket out and get back to me. They would like to walk me through a factory reset procedure; is the Cycle accessible. I stated yes it was, and what I’d tried is as follows…. I included what I’d thought to be the factory reset but that I was not sure. They sent the same procedure I’d already followed. Given the Cycle’s been powered off for a few days, I figured okay I’ll try it again; same outcome. I reported that to them, and the response is I’ll need to talk to tech support. Okay how do I do that. They are going to forward a note to tech support with both my open ticket and the new one they’d created as part of this chat, then someone will reach out to me. Day six, no meaningful interaction. 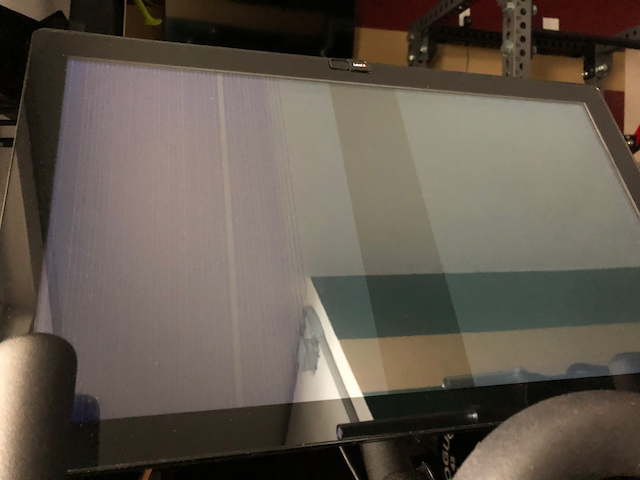 I’ve heard replacement displays are $1000+, so with only a one year warranty on it (five years on the frame), adding another $1k to the overall cost is going to hurt. I’ll update the article if and when I hear back.